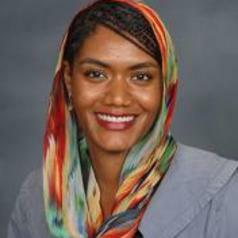 Imaani Jamillah El-Burki is a media scholar whose work investigates intersectionality. Her research examines the ways in which media representations of various social groups become visual, textual and linguistic expressions of both dominant and peripheral definitions of difference. She further investigates the relationship between media representation, media framing and individual and collective identity; social policy; and existing social hierarchies.